Diptera.info - Discussion Forum: Scaeva pyrastri? 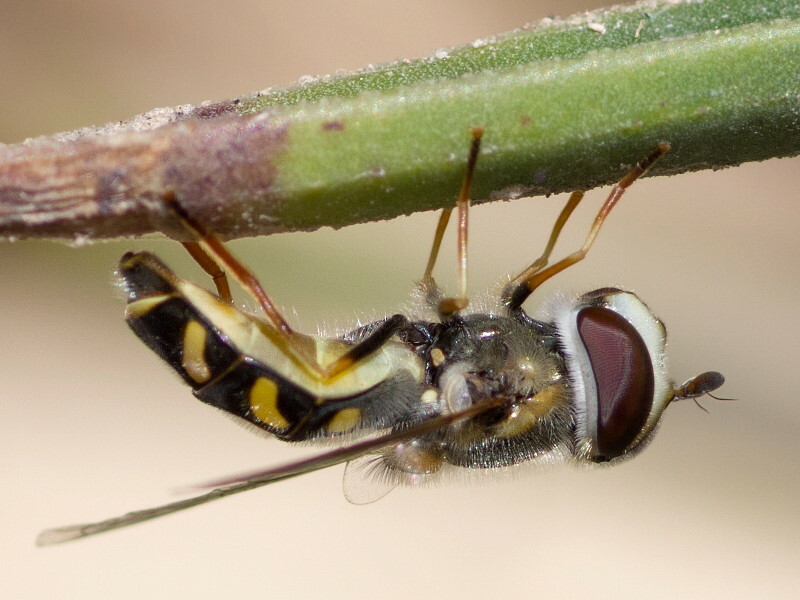 I found this flies in April 2018 on Fuerteventura together with a S. pyrastri with white markings. For Fuerteventura the two species Scaeva albomaculata and Scaeva pyrastri are listed. The shape of the pale markings is in good agreement with S. pyrastri, but the yellowish color makes me unsure. Scaeva selenica is not listed. 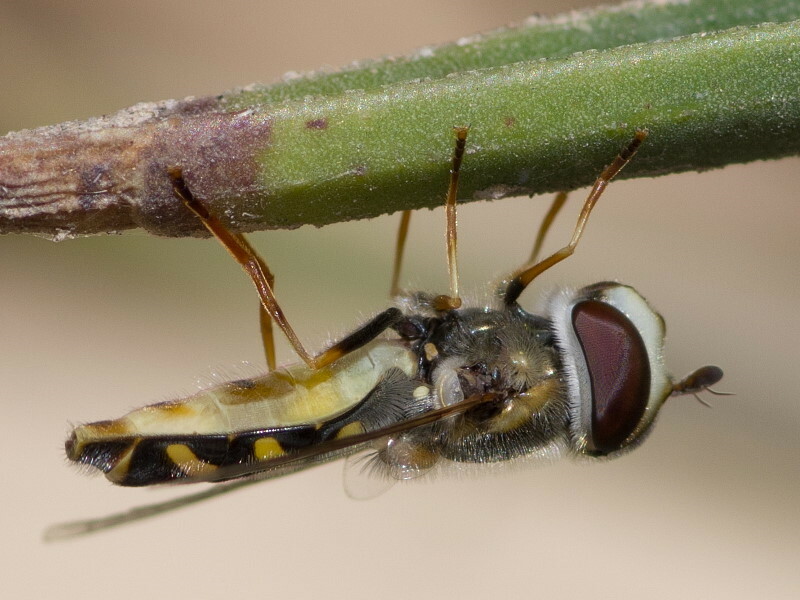 Eupeodes corollae and Eupeodes nuba should also fly on Fuerteventura. What do you think, is it a S. pyrastri? Unfortunately I have only lateral views.